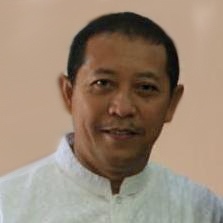 Dede is a scientist at FORDA (Forestry Research, Development and Innovation Agency, Ministry of Environment and Forestry, Indonesia) and is currently seconded to the Forests and Human Wellbeing Research Team, Center for International Forestry Research (CIFOR). Dede completed his Masters in Forestry Science at The University of Melbourne, Victoria, Australia, in 1991 and his PhD in Forestry Science, Faculty of Forestry, Institut Pertanian Bogor, in 2012. Dede had joined CIFOR as seconded scientist for three periods, during 1999-2001 as a scientist working on Non-Timber Forest Products Case Comparison, in 2007-2011 as Project Leader of a smallholder timber plantation project and currently active in research on community livelihoods of sustainable peatland management. Dede has been actively involved in various research activities related to community based forestry, especially on the aspects of policy and institution.